We’ve rounded up the best tweets about the Junior and Leaving Cert so far. 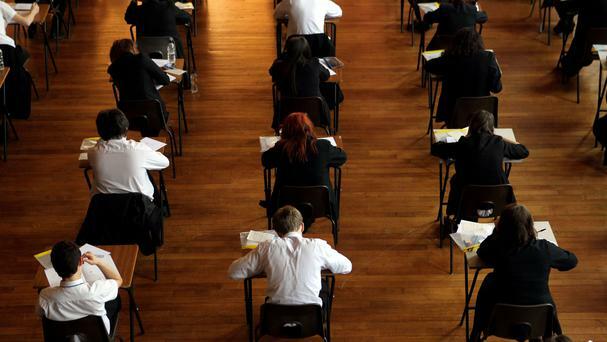 After months of stress and panic, Leaving and Junior Cert exams are being sat by 117,453 people at 5,000 centres around the country. It’s a terrifying day and one that lives on in the nightmares of many… but not necessarily due to the outcome/results of the exams. The scariest part of the whole thing is walking into that room on the first day, taking your seat and flipping the exam paper around. Once the first day is done and dusted it gets a little easier, if only because that’s one less exam you have to sit. Oh the flashbacks. The horrific flashbacks. Good luck to all doing #leavingcert Just remember to breathe … and stay till the end! Best of luck to all the young people starting their #juniorcert and #leavingcert exams today. It's never easy but you will get through it! And no matter what happens, you’ll be grand – trust us. We know everyone says it but that’s because it’s true. Even if you fail spectacularly, there’s always something out there for you. As cheesy as it sounds, you really have to believe in yourself. That’s the best thing you can do. Having faith in your decisions and focusing on what you want to do and where you want to be can only yield positive results.